One of the chief delights of reading volumes published during the 19th century about the American Civil comes in discovering the stories of heroes often overlooked by modern historians. 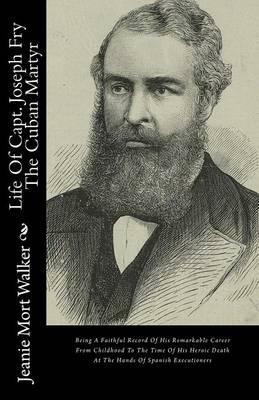 If not for Jeanie Mort Walker’s The Life of Captain Joseph Fry the Cuban Martyr and his murder at the hands of the Spanish government in Cuba on November 7, 1873, this great man’s life would be totally lost to history. I hope by this short article to contribute to the memory of Captain Joseph Fry in order to help fulfill the wish of his biographer (whose work I heartily recommend), which she expresses in the following words: “If a pure life, rich in honor, kindness, gallantry, truth, and faithful services, both in peace and in war, deserves remembrance, Captain Joseph Fry will never be forgotten” (14). The chief purpose of history, as Herodotus tells us, is to relate noble deeds so that they shall never be forgotten. My dear readers will find Joseph Fry’s life replete with them. This worthy man entered the world on June 14, 1826 in Tampa, Florida. In this place, he would spend a very mischievous youth, which would earn him the nickname “Joseph le Diable” from his Creole neighbors. However, even as a youth, he became remarkable for his good heart and selflessness. At the age of five, he attended the needs of a dying free black woman, who had been abandoned by all until his family discovered Fry’s whereabouts and took over the care of the woman. This was not the last poor woman grateful for Fry’s help. Those who know how stratified Southern society was at the time will appreciate this fact. If any act of Fry’s life displayed a modicum of self-interest, it lay in Fry’s decision to enter the Naval Academy. Fry had graduated from schooling in the North and had returned home to work in his uncle’s hardware store, which did not suit his energetic temperament in the least. After his elders and their connections failed to obtain an appointment for Fry at the Academy, he himself set out for Washington D. C. at the age of seventeen in order to obtain an audience with President John Tyler! Many at Washington were taken with Fry’s learning, poise, and courage, which gained him the wanted audience. Tyler then invited Fry to a dinner with the cabinet members and their wives, in which Fry’s plight and his poise became the main focus of the conversation. Needless to say, Fry returned home having secured a place among the plebes. 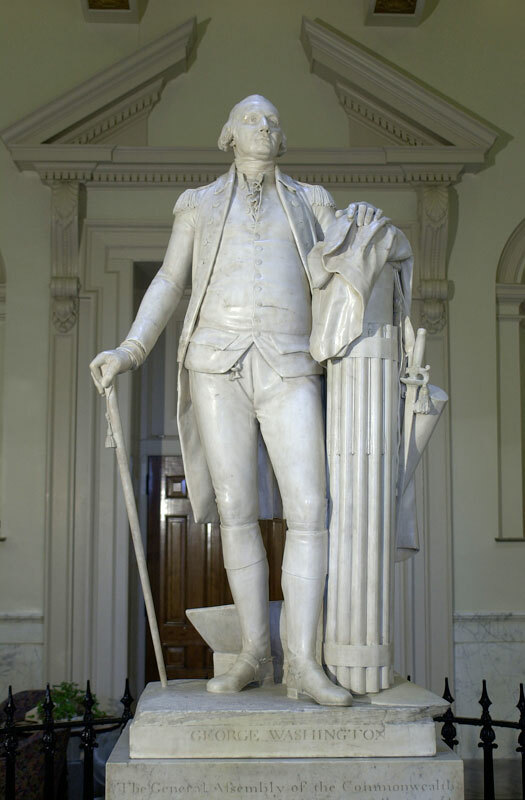 I have mentioned Washington: the Indispensable Man by James Thomas Flexner in an article about the need to judge by deeds and character rather than by words and appearances. May my quibble with Flexner’s critique of the way Washington accepted command of the Continental army in no way have prejudiced people against this excellent biography! Washington: the Indispensable Man stands as an excellent condensation of Flexner’s four volume biography of Washington. His original hope had been to write a one volume biography of Washington, but compressing twenty-one years of public service into one volume proved impossible until after he wrote a four volume piece. Some parts of this work give the impression that much more was going on in Washington’s life than Flexner was able to divulge, especially the chapters covering the Revolutionary War. The only solution to obtaining a fuller picture of Washington’s struggles must lie in picking up a multi-volume biography such as the one Flexner wrote or perhaps Douglas Southall Freeman’s. 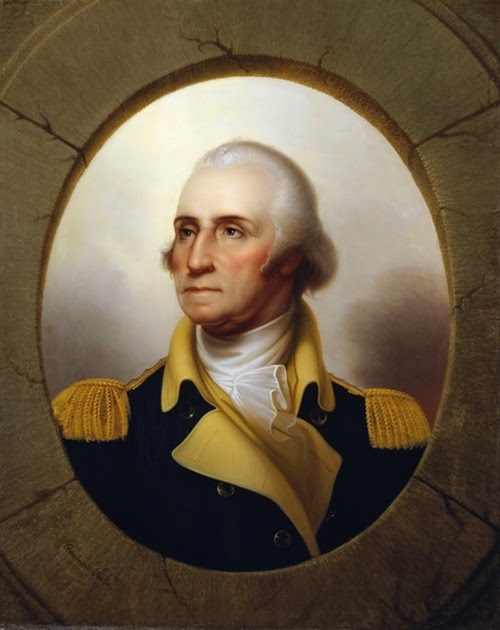 One of the strongest parts of the biography consists in his ability to delineate Washington as a sanguine individual rather than as the stoic man of principle whom textbooks and legend have given us. Of course, Washington was a man of high principle who tried to keep a calm and cool demeanor; yet, his principles had a great deal of fervor behind them, and he did not hide his emotions when the occasion called for joy. For example, Washington’s exuberant cheers at seeing the arrival of the French navy during the Yorktown campaign surprised the officers of the French navy such that they doubted at first that they saw Washington on the shore. A cold individual could not have been so beloved of his men. When the Continental army verged on mutiny due to the soldiers being denied anywhere from two to five years pay, Washington taking out reading glasses and saying “Gentlemen, you will permit me to put on my spectacles, for, I have grown not only gray, but almost blind in the service of my country” not only moved his men to cease threatening mutiny but even to weep like infants. The two other parts of the work stand above the rest for their detail: the descriptions of Washington’s involvement in the French and Indian War and his career as president of the United States. Flexner makes it very clear that Washington was not a natural commander. 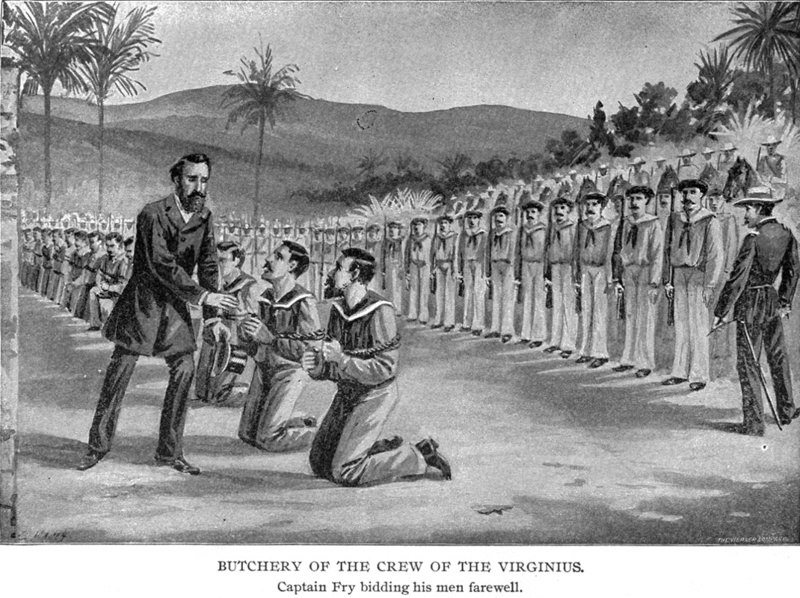 During the French and Indian War, Washington often complained about the lack of support given to him by the Virginia House of Burgesses, had difficulty waging effective campaigns against the wily Indians, and made the terrible blunder of ambushing a French diplomatic mission, killing the ambassador before the French made clear the nature of their mission and firing ceased. However, Washington showed himself to be a very brave man. Never becoming wounded during the heat of battle earned him the legend of being invulnerable to gunfire. 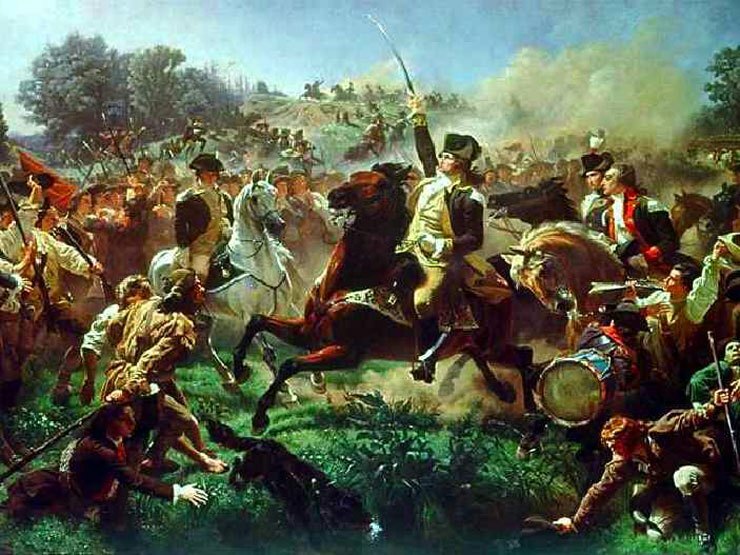 This legend was further bolstered by often personally leading men into the thickest part of battle in the Revolutionary War. One becomes amazed by the animus Washington endured during his time as president of the United States. 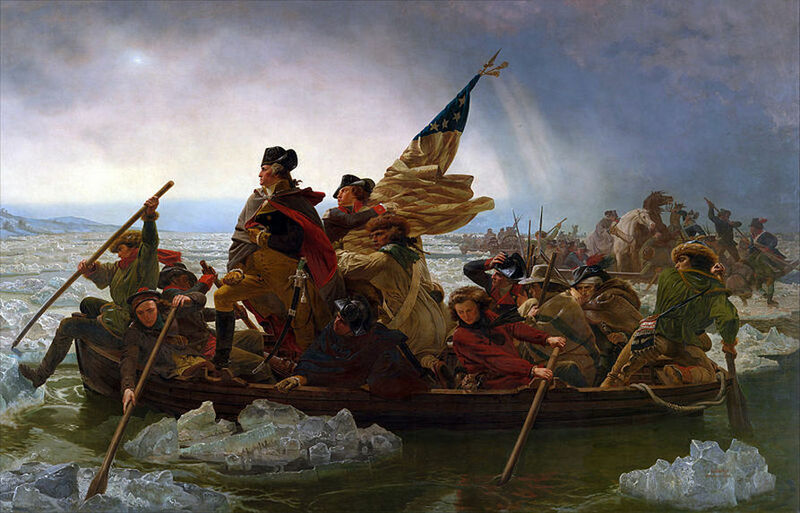 Most of it came from Americans who wished to aid France against Britain during the time following the French Revolution. Washington felt that the new nation could not undergo another war with Britain so soon after the revolution and needed to foster good economic relations with Britain. For these policies, Washington was particularly scorned by his fellow southerners, who mostly belonged to the Pro-French Republican party. (The modern-day Democratic party has its origins in this party, sometimes known as Democratic-Republican party or Jeffersonian Republicans.) Washington relied upon Hamilton more than any other member of his cabinet, and this man was more loyal to Washington during the storms of his presidency than any other. And so, this work offers a great sketch of Washington’s character and wonderful detail on Washington’s presidency in particular. Flexner’s prose reads very easily. Perhaps, this book is one of the best introductions one can read concerning the Father of Our Country. It seems fitting to write a post about Theodore Roosevelt on the 95th anniversary of his death. Interestingly, he wanted to live as vigorous a life as possible until the age of 60 and died when he reached that same year. Also, Theodore Roosevelt happens to be my childhood hero, and I still consider him one of the greatest Americans to have ever lived. 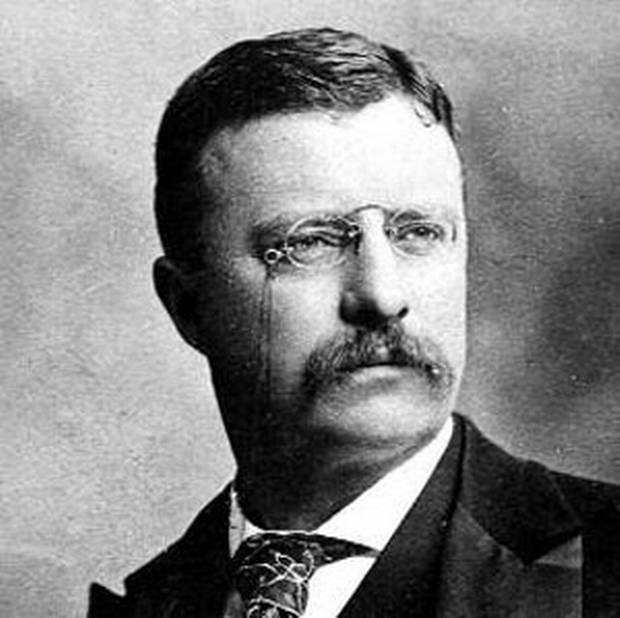 Anyone familiar with Roosevelt’s autobiography knows that he considered himself a very average person. Any success he achieved only came about through hard work. He also displays great humility in the accomplishments which he achieved and was always sure to credit his co-workers for his successes in politics. In his striving to overcome shortcomings through hard work, he displays the quintessential American value: diligence. People might say that the quintessential American value is freedom, but people hardly understand freedom nowadays. They think that freedom is something given to them, which is true; but, for this freedom to be of enduring value, it must be gained through toil. Untested virtue means nothing; intellectual acumen which merely echoes stands as a facade; and status gained through who one knows rather than who one is stands on a sandy foundation. Why do I mention those three areas? Because they concern the areas where freedom is most cherished: freedom from vice, freedom of thought, and freedom to pursue happiness–for I am convinced that the highest joy for a human being is to live as one’s true self, maintaining a just relationship toward one’s fellow men and a pious relationship toward God. That state is built on freedom. This freedom cannot be attained without hard work. At times in our life, we wait for a Providential hand to lift us up, and we need that chance; yet, having the chance without the spine to fulfill its duties guarantees that this chance will be wasted. 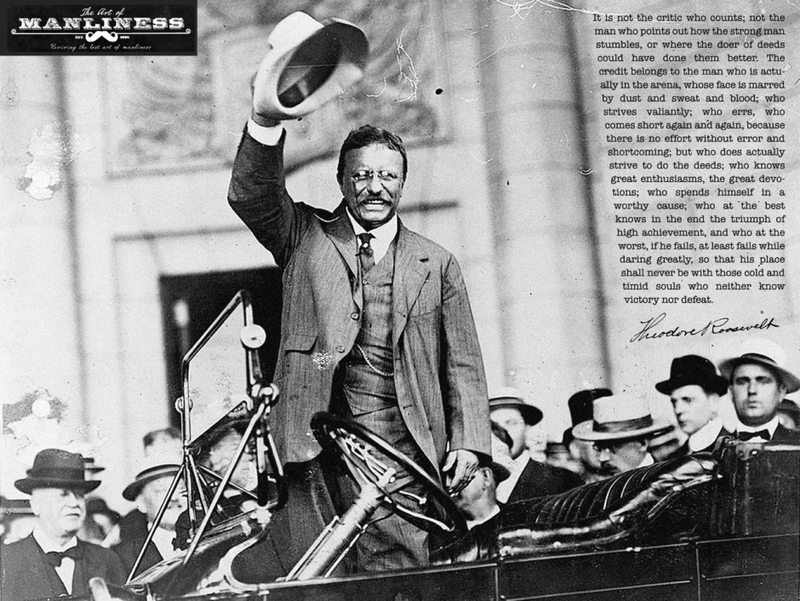 Theodore Roosevelt was perhaps one of the freest men in American history. 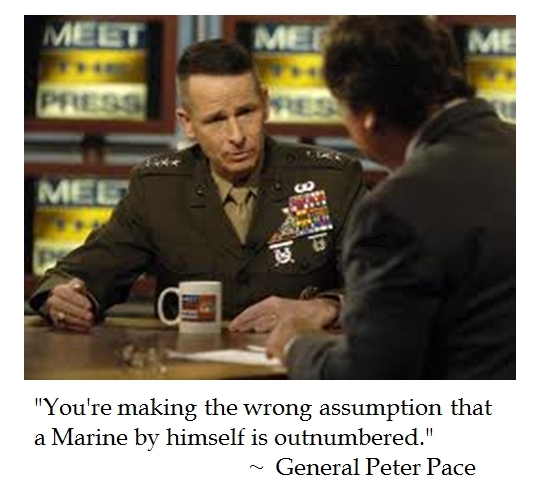 As such, people look up to him as one of the highest exemplars of what it is to be American. How did he attain this position? His achievement may be briefly explained that he strove for freedom all his life. When a boy, he developed a fascination for reading and the study of natural science–a solid foundation for freedom of thought. Around 10 years of age, his father told him that he had the mind but not the body and that the mind could not go as far as it should without a strong body. 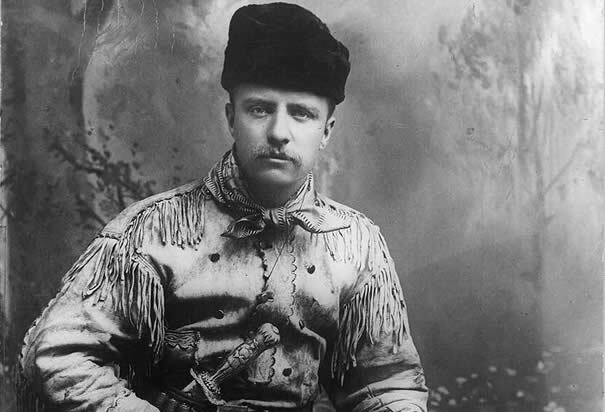 To this, Theodore Roosevelt responded: “I will make my body.” He did just that, giving him the ability to lead as strenuous a life as he wished–as evinced by his many hunting trips, life as a rancher, and service in the Spanish-American War. As a politician in Albany, he strove to research legislation himself to discern its advisability and not to be beholden to party bosses, adding further to his freedom from vice. He carried on being a man of integrity in politics despite receiving death threats and threats that he should lose his office. 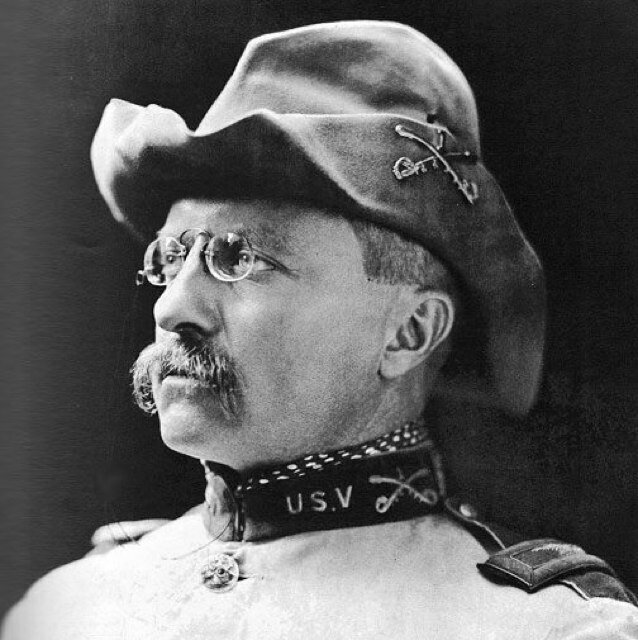 To some extent, Roosevelt did not have to fight for his status. He was raised in one of the richest families in New York City; yet, he might have easily fallen into the trap of becoming a dilettante living upon his inheritance. This would have led to him leading a pleasant life of oblivion. Instead, he fought hard to develop various talents and to make an impact upon America for the better. So, let us toast this mediocre man, who became one of the greatest men in American history and remember that true freedom is only gained through struggle. Here’s to Teddy Roosevelt!